Hope this doesn’t become our planet’s worst case scenario. On World Environment Day please consider these issues and campaigns. Do we really need to drill for oil in the Arctic? One voice can turn into several voices and can make a difference. 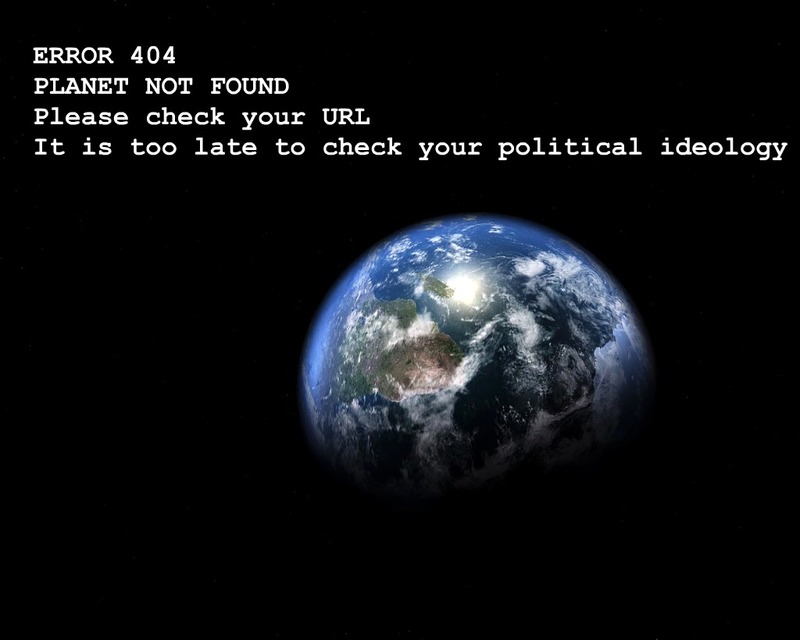 None of us want our beautiful planet to be 404’ed. With all of the strange weather phenomena this year, it feels like Mother Earth is screaming a warning (“Look out! Look out! ), but is anyone listening? PATTIKEN – I think that too. It’s all very chaotic out there. Who knows what’ll happen next?? Go Selma 🙂 Great post (and scary visual). I can’t believe the lack of support for a carbon tax – and the rediculous cop-out that Australia should be excluded from taxing carbon because we are such a small contributor to the carbon pollution (a total non-argument) – people would change their minds if we could fast forward into the future and see the true cost of doing nothing (when we’ve lost the Barrier Reef, all the waterfront properties, Kakadu, and every country is warring because people are fighting over water, food and scarcity of land. Our children and grandchildren will think we were the greediest, short sighted and most self absorbed group of individuals. GABRIELLE – I am stunned by the level of inaction on the part of the Australian government right now. The whole thing is a complete joke. We have already lost so much but still we keep mining and drilling and cutting trees down with abandon. But hey, as long as the retirees get their fat dividends from BHP that’s all that counts, right? It’s a disgrace. I would be ashamed to explain all of this to my descendants. Powerful poster, and so very true! Excellent post Selma. The U.S. is worse. We are still building nuclear power plants — a clean energy source according to Obama. I’ve decided not to vote for him unless he changes his tune. I’d rather abstain than support that. I’ve been writing his campaign lots of letters. Thanks for reminding us of this day. I actually never heard of it. SQUIRREL – We are all bad enough. The hold big business has on the marketplace is the problem. And no, I’m not a socialist or a treehugger who drinks her own urine 😆 I accept capitalism. I accept democracy. What I don’t accept is large companies like BHP and friends making mammoth profits and not being held accountable for how much they pollute the environment. That is my beef. Make ’em pay. Otherwise we’re the ones that will. Sorry, Squirrel. I didn’t mean to rant there. It’s been a rough morning….